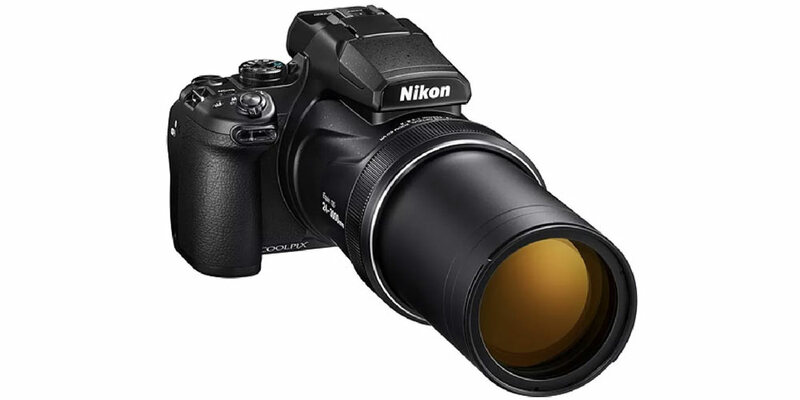 The introduction of the Nikon Coolpix P1000 reminds me of the early days of digital cameras, with an all in one body and lens and a huge zoom range. We have moved on quite a bit since then, but there’s still room in the market for an all in one camera with a ridiculously big focal length range and can do a bit of everything. 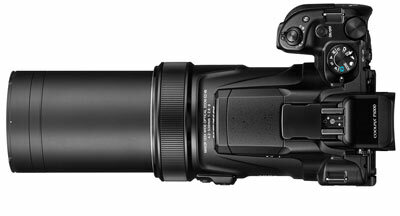 On this front, Nikon has completely outdone themselves with a 24-3000mm zoom range — that’s 125x! More zoom range than anybody would ever need, this feature is brilliant for the budding photographer who is at the experimental stage. It’s loads of fun being able to take images of something less than a few feet away, then zoom into something hundreds of feet away, but there are clear caveats to the image quality with this much focal range. Super telephoto images have their own concerns as with a the lengthy lens barrel on this camera, but on the flip side there’s enough basic features here to start getting very creative, even when the extremes of zoom are a struggle to handle. A do-everything camera like the Nikon Coolpix P1000 has a bit of everything crammed into the box. A 16MP 1/2.3 BSI-CMOS sensor, 24-3000mm equiv. f/2.8-8 lens, Nikon’s ‘Dual Detect’ optical image stabilization, a fully articulating LCD, Raw files, 4K/30p video, Wi-Fi and Bluetooth. There is no touchscreen display, but everything else on the surface feels at first like a fully featured camera. At 3.2lbs/1.4kg the Coolpix P1000 feels like a top DSLR with a reasonably sized Zoom lens attached. It’s not compact, but it’s never expected to be with that much zoom range. Having this much zoom range with interchangeable lenses would cost a small fortune and for good reason. Having such a long focal length with the Coolpix P1000 brings in lots of diffraction, softening of the images, slow maximum aperture which is also affected in lowlight performance and thermal atmospheric distortion resulting in ‘heat haze’. In other words, the more you zoom, the less contrast and sharpness in the images and more softening. Noise reduction can help a little but it can go overboard in this camera, but there’s no getting away from the haze distortion at extreme focal lengths. The lens could do with a tripod mount to support the thing when fully extended. After 1000mm the merest movement causes your subject to move around in the frame, even with image stabilization engaged. There is a ‘Snapback Zoom’ button on the lens, which allows you to zoom out, relocate your subject and zoom back in. The layout of the controls and buttons are straightforward, with a four way controller, surrounded by four buttons and a control wheel. There is also a AE/AF-Lock, movie record button and switch for swapping between the electronic viewfinder and LCD. Four of the controls can be customised, with an Fn button giving you access to a shortcut menu. The control ring on the lens can adjust various camera settings, along with manual focus. The battery is only rated for 250 shots per charge, which is quite low for this type of camera. It’s also rated at taking three hours to recharge, meaning spare batteries are a pre-requisite with this camera. At least it has USB charging. The Coolpix P1000 has auto ISO, but only a few options to choose from. 100-1600, 100-400 or 100-800. Shutter speeds in auto ISO ranges from 1 sec – 1/125 sec. A 16MP BSI-CMOS sensor isn’t anything to shout about these days, which also means noisier images, especially by today’s standards. However, it’s the zoom range which is the selling point on this camera, enabling images you couldn’t get otherwise. So it’s probably better to look at overall image quality last. The zoom range can easily be used for most situations, but more specifically slow sports, wildlife and travel images. The initial buzz of being able to spot something in the far distance and grab an image is great, but knowing it’s a point-and-shoot it’s definitely a heavyweight and the image quality is just not as good as something with a shorter zoom range and larger sensor in the same price bracket. I said above ‘slow sports’ as the auto focus can be slow to react as you zoom and you don’t get much from burst mode. Zooming in and out on a landscape is fun and produces some reasonable JPEGs, but landscapes are usually about ultimate image quality, which you won’t find on this camera. You can still use raw files, but you’ll still find noise in there. For portraits it’s the same deal, you’ll soon be wanting for more image quality or wanting your subject to stand 100m away, just because you can capture them at that distance. 4K video with no crop is reasonably good, but it suffers from many of the same issues as with stills. Unless your subject is a million miles away, there are more capable 4K video cameras which produces better quality footage for the price. The footage is reasonable on the Coolpix P1000 but it can suffer from rolling shutter, moiré and autofocus issues. Give this camera ideal lighting conditions and it will produce nice JPEG colors. You can even get some pleasing bokeh when you zoom in close to a subject. It can be quite tricky to hold onto a subject at the extreme focal lengths even with image stabilization, so a tripod is a pre-requisite. On the surface the Coolpix P1000 seems to do everything, but like all Jack of all trade tools, the individual elements are never as good as a dedicated tool. The huge focal range is clearly the main selling point, possibly the most useful for wildlife or the next time the space shuttle takes off. The camera does have a nice bag of features. Various shooting modes, some specialised far distance shooting modes such as a ‘Moon mode’, a quality OLED viewfinder and even a mic input. It’s just a shame there’s no touchscreen. Unfortunately, if you’re not taking images at extreme focal lengths all the time, there are more cost-effective cameras which give you better image quality and are faster for the money. The small sensor coupled with a slow lens and being large and heavy are the downsides. At extreme focal lengths you really have to prop up that lens and the images start to become noticeably soft when you’re really zoomed in. The image stabilisation and Snapback Zoom button help out a lot. Again, it’s at the extreme focal lengths where keeping everything steady is a big task, especially if you don’t use a tripod. With more practice the Snapback Zoom feature may help out alot, but you still have that distant haze to content with after 2000mm. Jpegs come out with a nice depth of color considering the sensor size and raw files which are not available in all modes are a good way around the overuse of noise reduction. Because other cameras in the same price bracket produce better quality images and its rare you will ever need this much zoom range, the Coolpix P1000 is verging on a novelty featured camera, great if you want to capture ultra-distant objects, but not too precious about image quality. The camera is a load of fun to use, but you’ll soon be wanting for better image quality in a less bulky package. Previous Post« Previous Canon RF 50mm f/1.2L: Is It Worth the Asking Price?